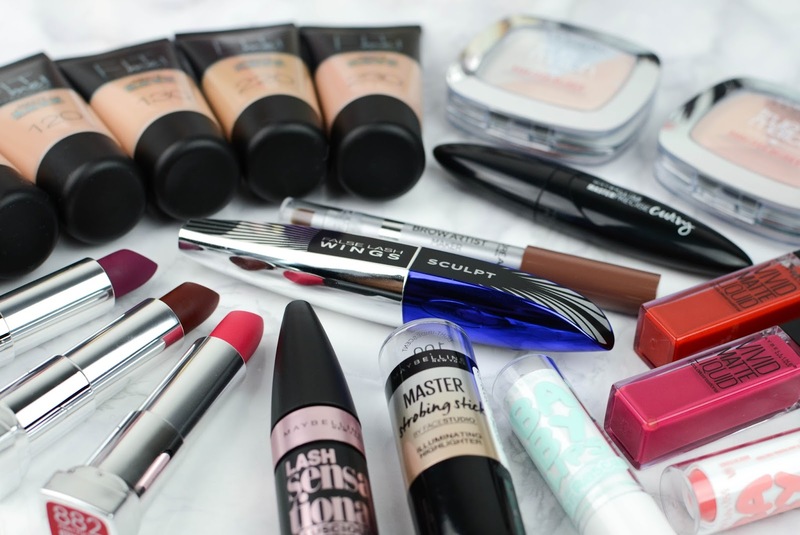 Recently Maybelline & L'Oréal Paris sent over some of the new products launching in the upcoming weeks (some just came out). 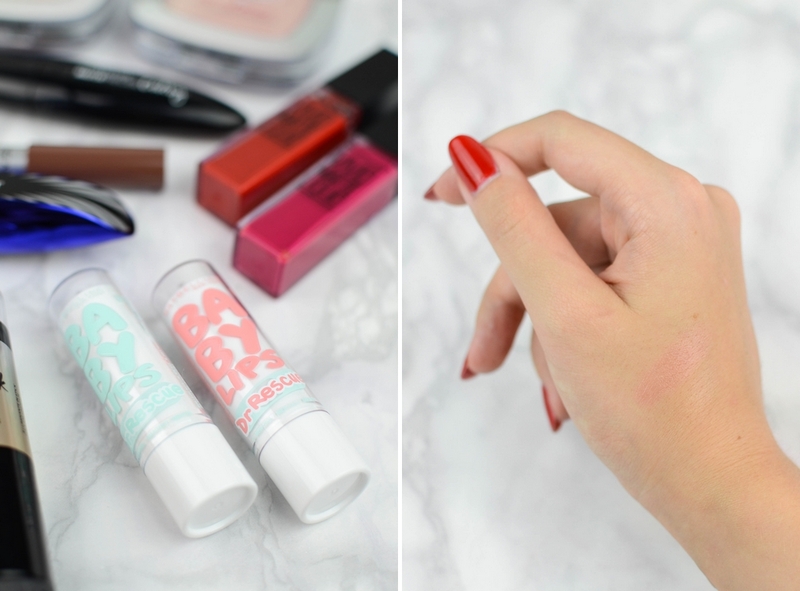 So as per usual here's a quick rundown, first impressions and swatches. 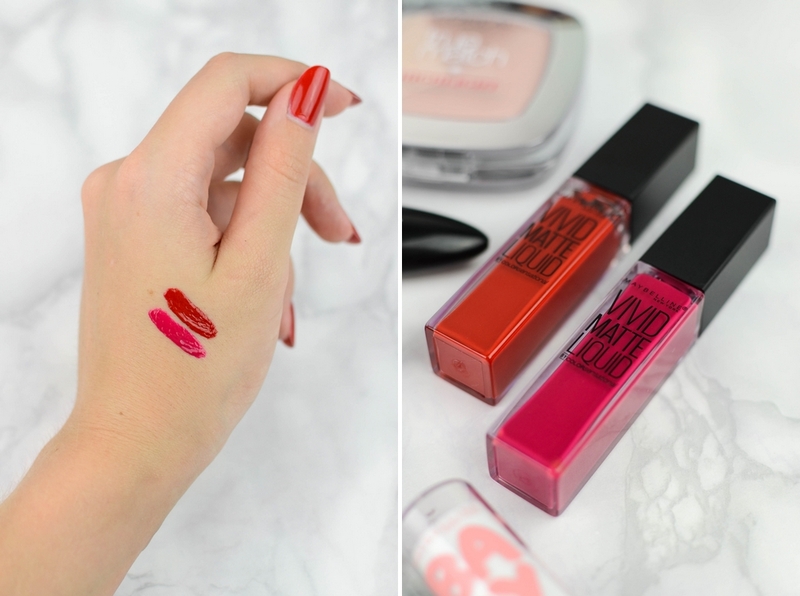 So these are some of the new matte shades in the Color Sensational range. Being used to really matte lipsticks, I'm not quite sure why these are named matte, because on the lips they look more like cream lipsticks (they have a slight sheen). However they do feel matte on the lips. I would suggest scrubbing your lips before applying them for an even application. Also it's not a must, but it would definitely make the application easier, if you had a matching lip pencil. They have a light scent, but it's not overpowering and won't cause a headache. 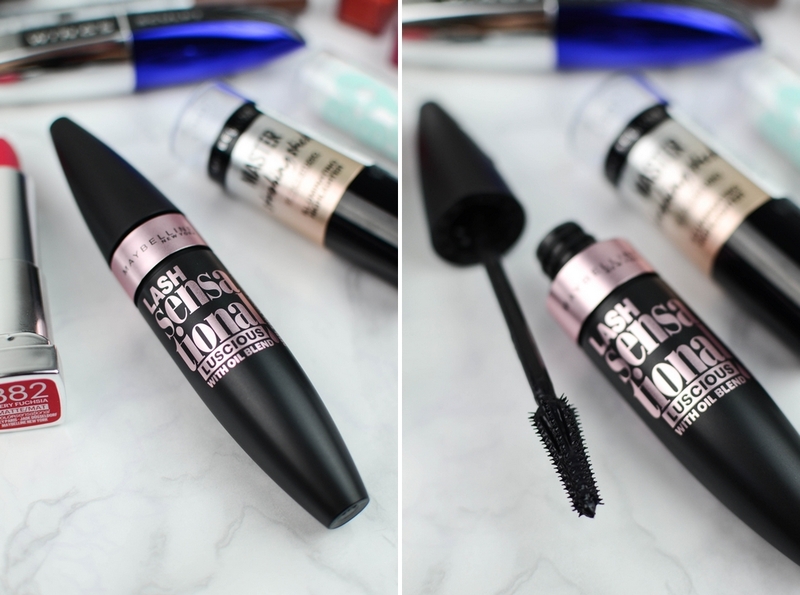 The original Lash Sensational mascara has a new Luscious sister. I'm not a silicone brush fan. Only one mascara with that kind of brush has ever worked for me. I gave this one a shot today again and well it looked like I had less lashes than I actually do. The only plus is that it stayed put throughout the day - didn't give me panda eyes and didn't irritate. I know a lot of people are die hard fans for the original mascara (never tried it) so I'm curious to hear their opinion about this one. For me it's a miss and it will have to find a better home aka will go to my sister. First thing that came to mind when I saw this one was "they tried to reinvent the bicycle". 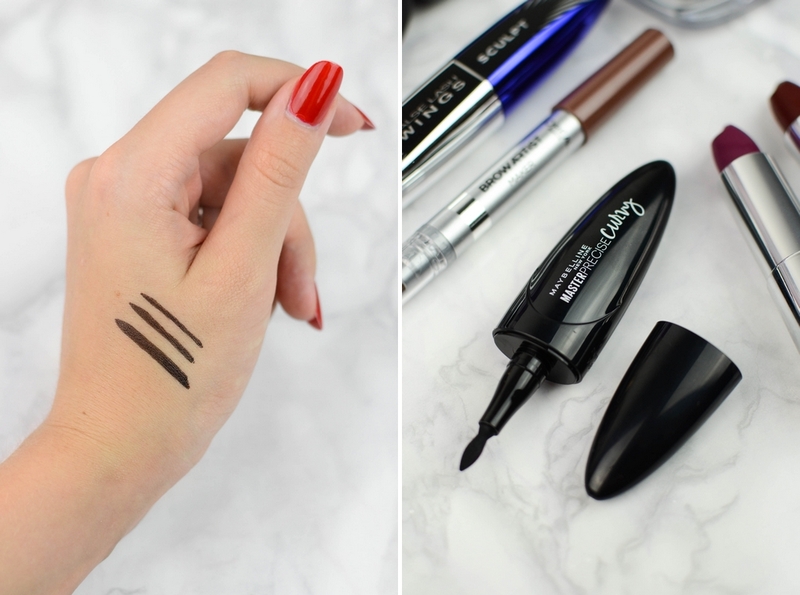 This eyeliner has an ergonomic pen design and a pointed ellipse tip applicator. 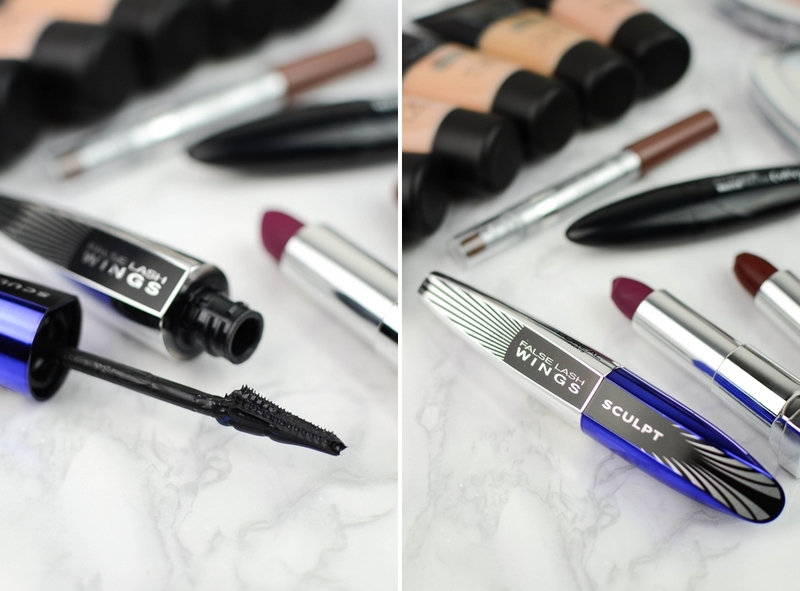 I did manage to apply it and even do a small flick (picture below) but it's not going to be the liner that I will reach for when I'll want to do a wing. Personally I didn't find it easy to use and as you can see in the swatch it's not the blackest black. 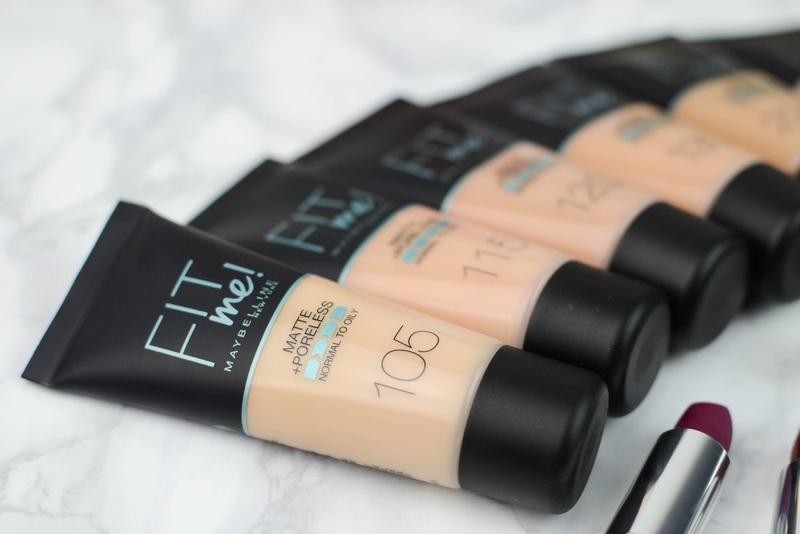 I will not get in too deep about these, because I plan to write a proper review, but what I can say is - I abso-freakin-lutely love this foundation!!!! It's all I am wearing if I'm wearing anything on my face. I may have found my ride or die. No wonder Desi listed it as one of her favorite foundations. Strobing aka highlighting is still going strong. This one really reminds me of the Benefit's Watt's Up! cream highlighter. It's great to use as a base for your powder highlighter, if you're going for that "In your face" highlight or on it's own for a more softer look. So you've tried powders, pomades and pencils for your brows. So why not try a crayon? My brows are too fair for this product, I need something more heavy duty like a pomade, but I would love to see someone using this. The brush on the other side blends the product out really nicely so I think I will try it as an eye pencil. First things first - these are not matte. They are very far from matte. They don't feel matte on the lips nor do they look matte. And they have a very strong scent that instantly gives me a headache. But ... and yes, there is a but. If you don't mind the scent and the fact that they are not matte you should give these a go, because the pigment is insane. Ok, so from all of the new launches this one was the one that made me the most skeptical. Like, that brush? What is it? What do you do with it? After a couple of tries, I have to say that this brush is genius. It makes the application so much more easier. The only thing I don't like at the moment is that because it's a fresh mascara, a lot of product comes out in the middle of the brush, and you can't really get it off as you would with a regular brush. Which therefore messes up separating the lashes. I will wait for it to dry up a bit and then see how it works. These have become my go to chap-sticks. They are really moisturizing. I guess the only difference from the originals is that they have a minty feeling on the lips. Not the biggest mint fan, but the feeling disappears quickly. Yes, yes, yes! 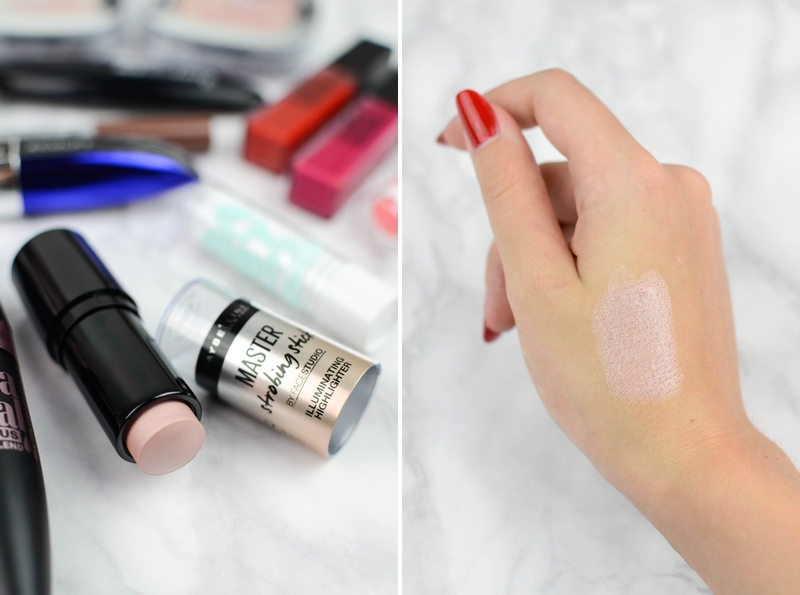 I am all about powder highlighters and these are no exception. They have a nice texture and are really easy to blend out. They are pigmented, but not as in-your-face pigmented as the Sleek highlighters. Though I like that, because I prefer these kind of highlighters for everyday use. If you're very fair, give Icy Glow a try. I thought that I had a fair skin tone before, but then I tried it and well not that fair, I guess, because it looked very white on my skin. 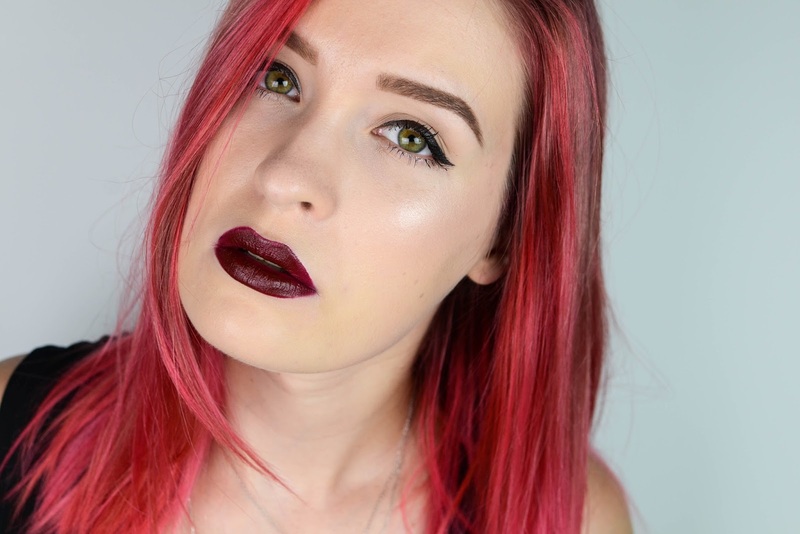 For me Rosy Glow is my go to and that's the one I chose in the picture below.